This week temperatures surpassed 100 degrees throughout Maryland yet some idiots still don’t think and leave their dogs in the car to die while they go into shopping centers. Are they really that stupid that they don’t think about what will happen after they turn their car off and roll up the windows? Sick. Unbelievable. 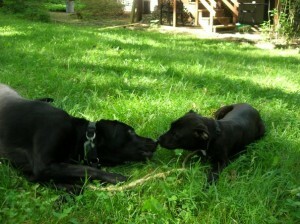 The dog that was accused of biting singer Vanessa Carlton was freed. The whole story just always sounded pretty lame to me; I had hoped she would be the type to turn it into a positive thing. At least the dog was spared this time. 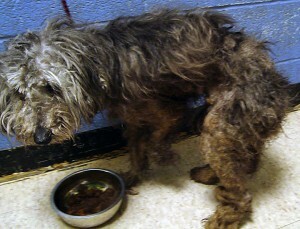 An older toy poodle mix was found on the side of the road in Baltimore today and brought into BARCS. Apparently part of his leg is missing (?!?) and he is emaciated. Poor little guy, I hope somebody finds the compassion to take him in and give him some TLC. And a great story about rescue groups working together and thinking fast to rescue over one hundred Beagles left behind at an animal testing facility.